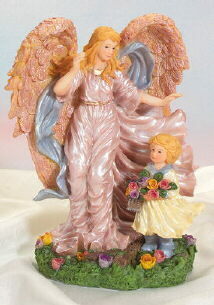 Nestled safe and snug in the arms of her guardian angel, a little girl finds divine refuge. An enchanted alabastrite creation. Measures: 4" x 6" x 8 1/8" high.